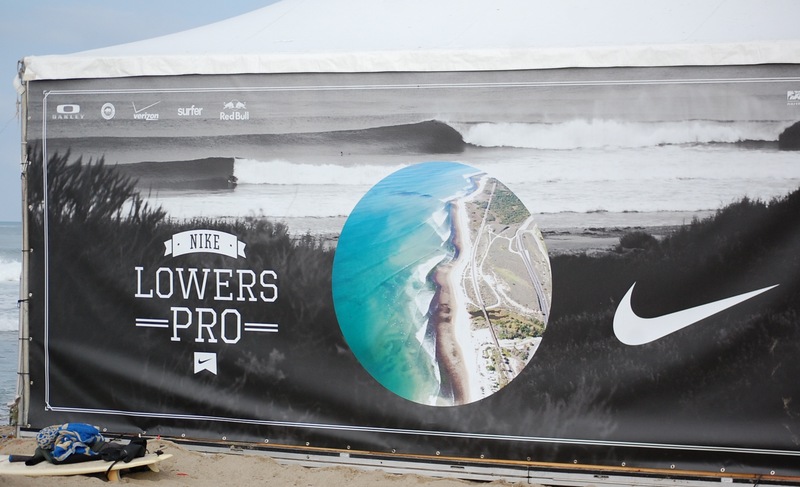 I spent the morning of Saturday May 5th at Lower Trestles for the final day of the Nike Lowers Pro 2012 professional surf contest. Amazing to see some of the world’s best surfers in action including Dane Reynolds, Gabriel Medina, Pat and Tanner Gudauskas, Julian Wilson, Ace Buchan, John John Florence, Kolohe Andino, Evan Geissalmen. I had watched the event via the webcast and while impressed with Gabriel Medina’s surfing, I wasn’t sold on him as a complete surfer (lack of style). But after watching his dominate his heats with his effortless and amazing aerial and vertical surfing, I can easily predict he will be World Champ and dominate professional surfing. 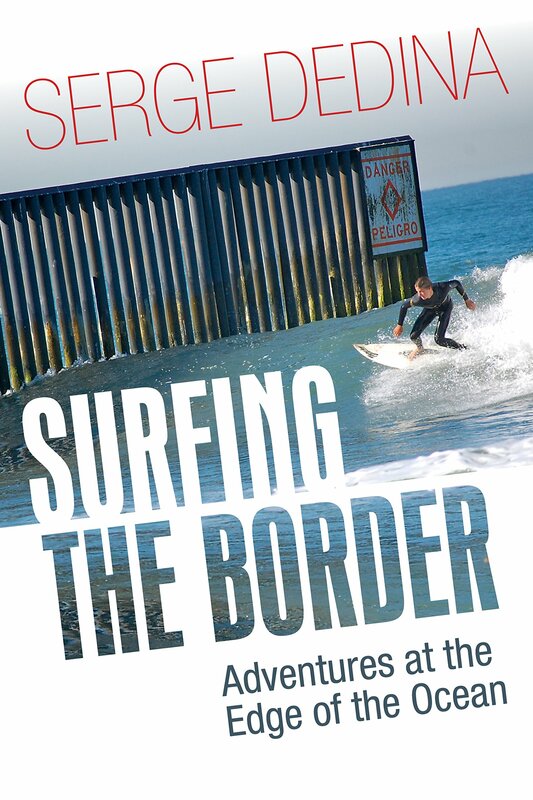 Additionally John John Florence also demonstrated why he will also be a World Champ and dominate Professional Surfing. He surfs with the savant of Andy Irons combined with the strategic brilliance of Kelly. 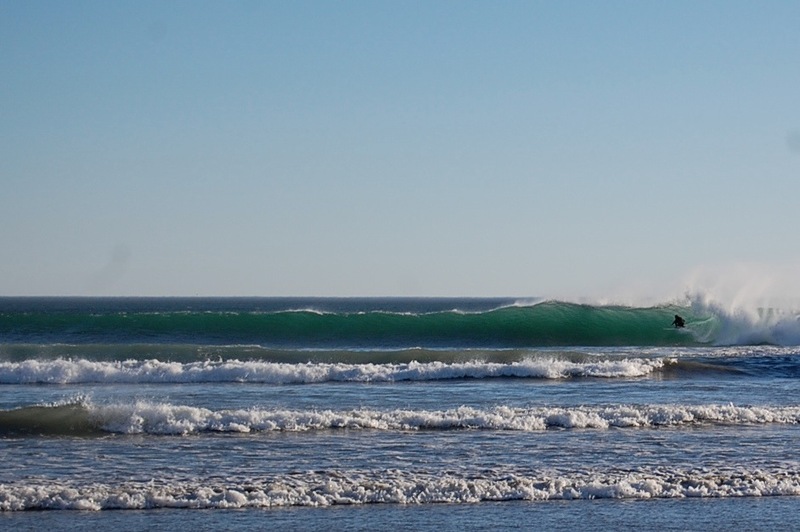 Medina to me is more of a Kelly Slater and just an intuitively brilliant surfer. No one can really even touch him. He doesn’t even look like he is trying. John John Florence in his quarter final heat against Tanner Gudauskas. After the final between Glen Hall and Gabriel Median, the ebulliant Brazilian fans carried Medina on his shoulder. 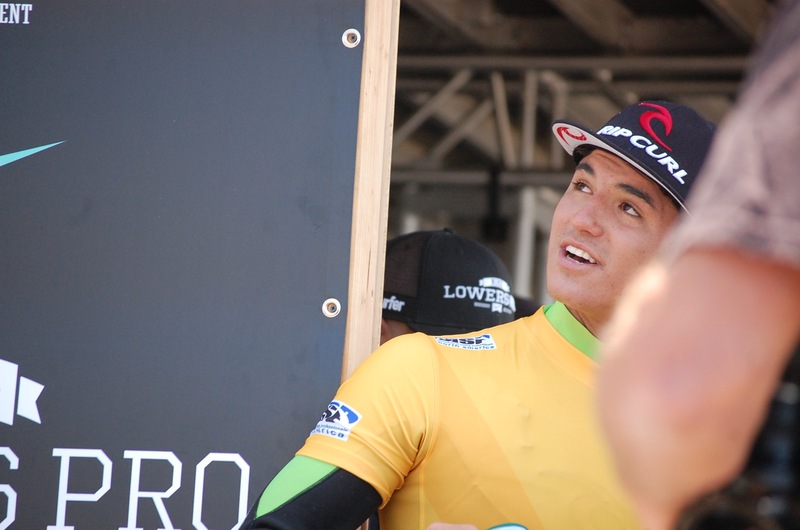 Gabriel Medina in a pensive moment right before the awards ceremony. The Brazilians clearly love their country, surf with passion, are determined competitors and are hungry for victory. There is no Dane Reynolds embarrassing lack of clarity on being a professional surfer. 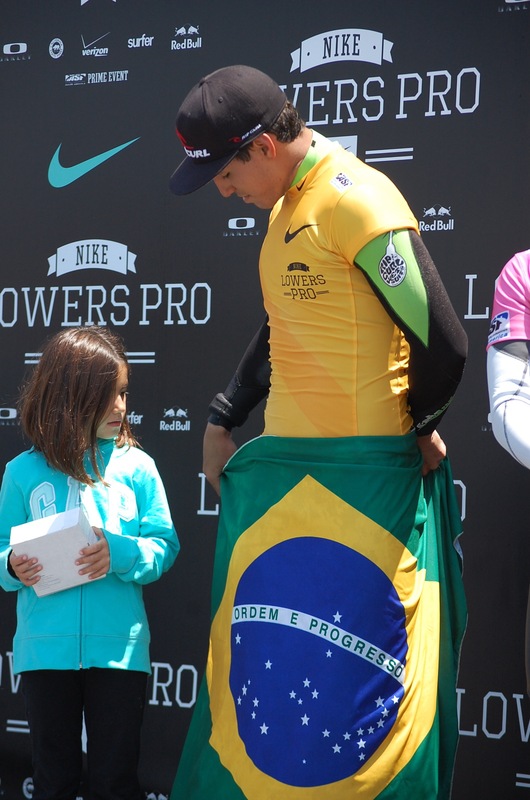 Gabriel Medina and his sister Sophia. 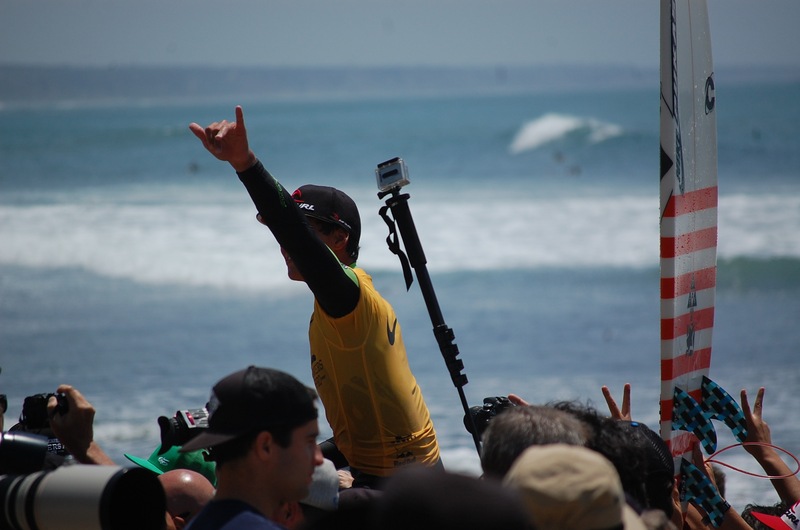 When is the last time you saw an American professional surfer celebrate a victory with an American flag? Brazilians are not ambivilent about victory. Americans almost seem embarrassed by it (not so the Australians who are equally committed to winning and being professional athletes). 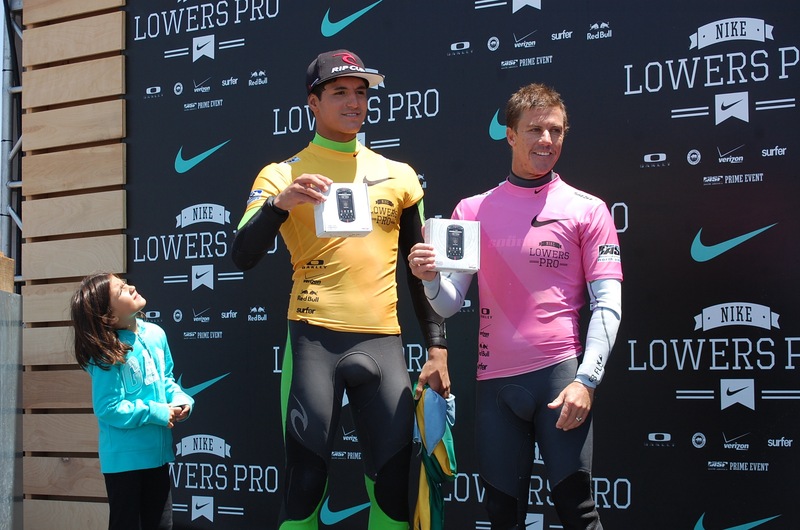 Nike Lowers Pro champion Gabriel Medina and runner up Glen Hall with Gabriel’s sister Sophia.